The Briggait Creation Centre will give Glasgow its first dedicated public base for dance and Scotland’s first purpose built accessible space for disabled dancers. 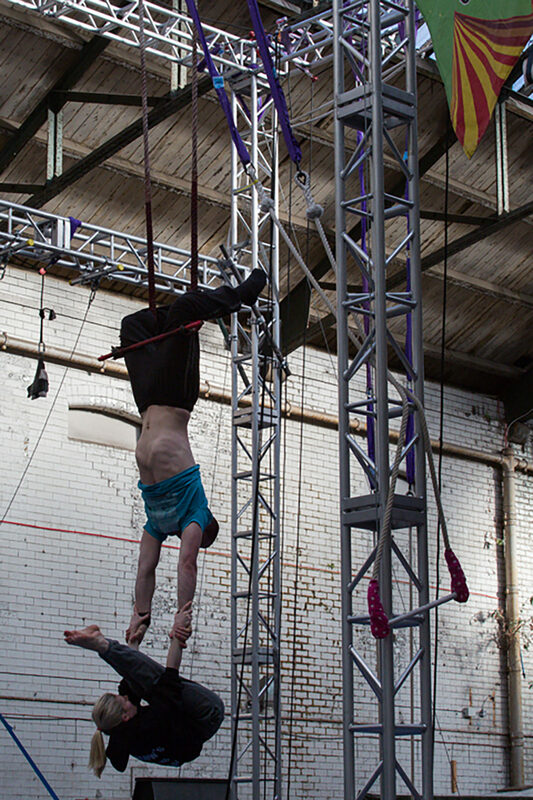 It will also be Scotland’s first home for the rapidly growing physical performance sector – which includes circus, street theatre, flying trapeze and other aerial skills. Following on from the first phase of redevelopment in 2009, Collective Architecture has been appointed as Lead Consultant for the second phase of development, led by current occupants Wasps Studios to provide a Creation Centre that will meet the needs of the dance and physical performance sectors and enhance the building’s current offering to artists and the wider public. 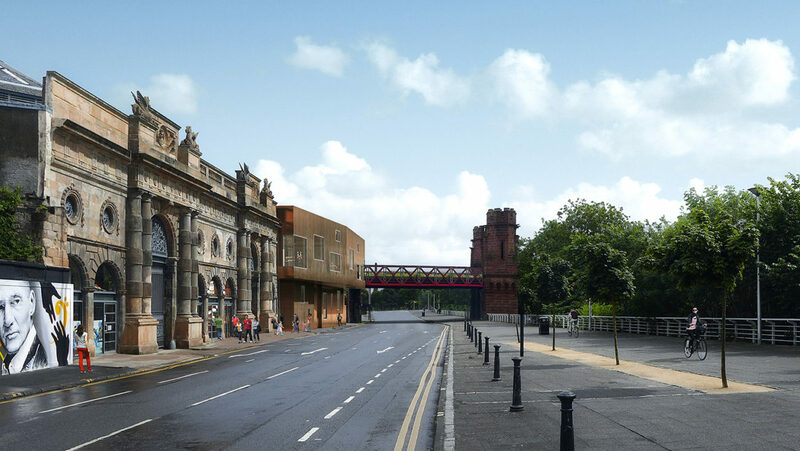 This will develop a 12,000 sq ft area which includes the remaining parts of the 1889 and 1904 halls, along with a gap site on Clyde Street, directly facing the river. Creation Centres are relatively common in Europe but not the UK. They are spaces for multi-disciplinary art making, often focusing on outdoor performance but mixing visual art, performance, circus and other art forms. It will provide a creative hub for 600 professional artists, physical performers and dancers. This in turn will help retain and develop talented artists of all abilities in Scotland, nurturing their skills from entry level to international professional. The project aspires to provide a modern, visionary and innovative design solution which will deliver the functional requirements identified within the project brief, in a manner sensitive to the buildings heritage and within the tight budget available. The conversion and new extension will create a development that will change the face of The Briggait, breathe new life into the Clyde Waterfront in Glasgow’s City Centre, reinvigorate the wider Briggait complex and inspire people of all abilities to engage in physical activity and creative performance. A vibrant, contemporary design ethos has sought to marry the character of the undeveloped, Category A Listed market halls in the Briggait complex with the operational needs of a Creation Centre. The methodical approach taken to conserving and celebrating the heritage of this medieval part of Glasgow has been matched with achieving sustainable, flexible and future proof design aspirations. 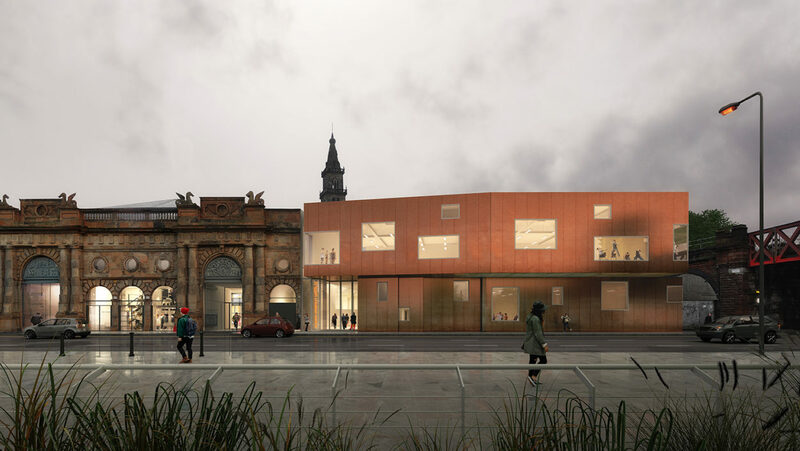 In keeping with the dynamic vision for the Briggait Creation Centre, and the audacity of the architecture of 1873 hall, the design approach is based on the ‘assertive contrast’ principle (as per Historic Environment Scotland guidance for extensions to historic buildings). The extension has an expressive form projecting dynamically over the pavement and reaching out towards the river exploiting the Clyde promenade location. The form has been expressed as stacked boxes representing the distinct spaces within and the glazing floats freely providing dramatic views while drawing light deep into the large studio volumes within and giving clues as to the dynamic activities within. 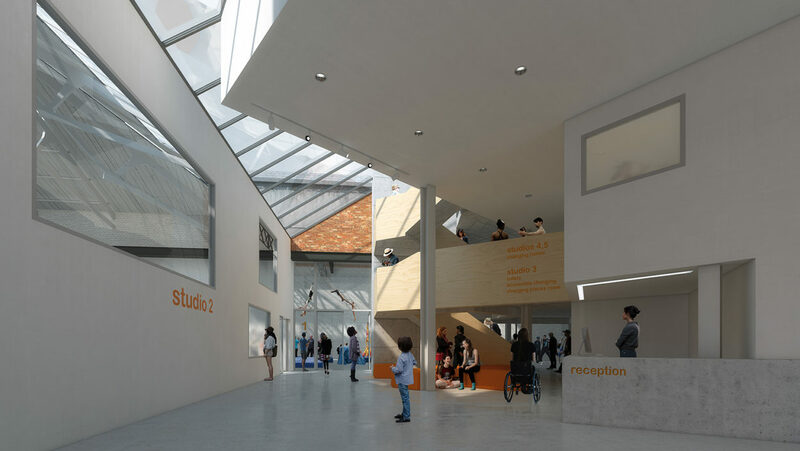 A dramatic atrium brings light and social space into the heart of the development and allows the vital heritage of the site to be experienced.